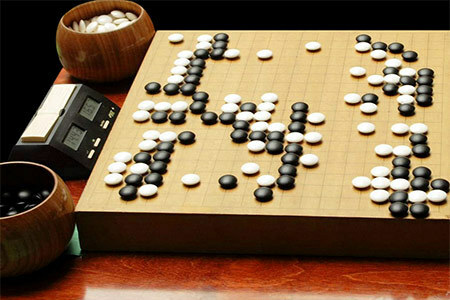 The European Go Centre announces the 2015 World Wide Iwamoto Awards. The European Go Centre is happy to announce the World Wide Iwamoto Awards. Following on from the success of the European editions in 2001, 2003, 2007 and 2012, the Iwamoto Awards have now become global! Thanks to the internet and social media, the world has become smaller, so we think it’s time to invite people worldwide to submit Go promotion projects. These projects are collected in our public database. With this information, everybody who’s involved in the promotion of Go can find new ideas and inspiration for their own projects. Have a look at our website to see past and present Iwamoto Awards submissions. The Iwamoto awards continue in the spirit of Iwamoto Kaoru 9 dan’s dream to popularize Go worldwide. The European Iwamoto Awards were much appreciated by the contestants, the European Go Federation and the Nihon Ki-in. Therefore we want to extend this project and improve it, as the World Wide Iwamoto Awards. An international jury, with representatives from all continents, will judge the entries. The best project will be awarded €1000 (approximately $1100 USD at the time of writing) and two runners-up will receive €500. You can find all the details and criteria for submitting projects on our website.